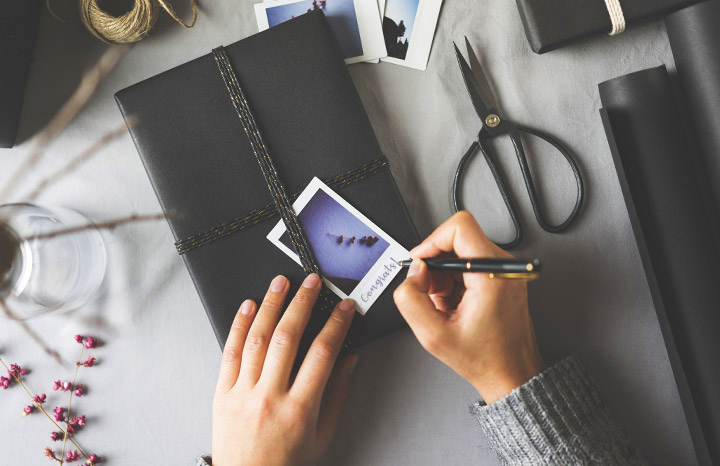 Personalised Experiential Gifting for Businesses - Vouchers + More! Access 5000+ of the best experiences across Australia. 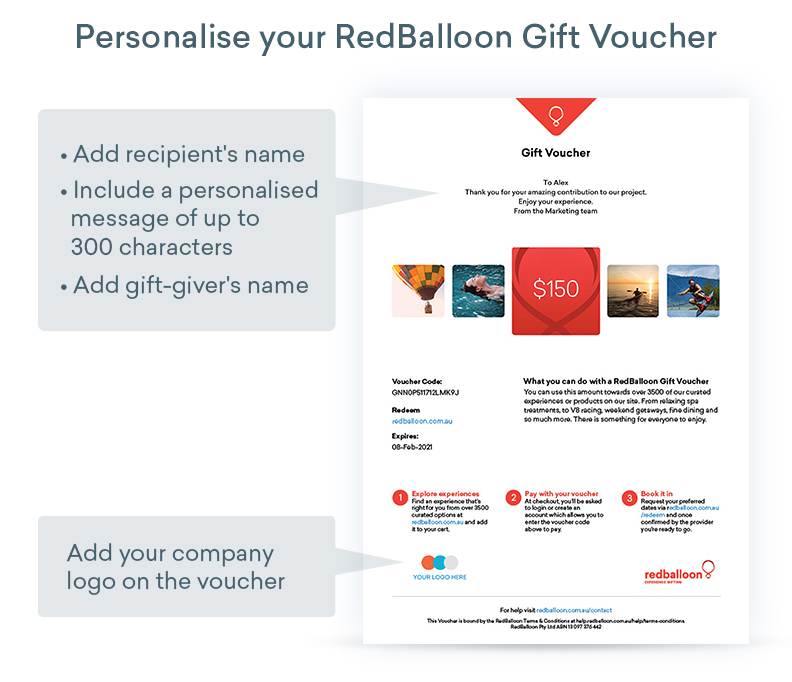 With a variety of presentation options, RedBalloon gift vouchers make for the perfect corporate reward or gift. To complement our range of experiences, we’ve curated the best corporate gifts and hampers for you to choose from. 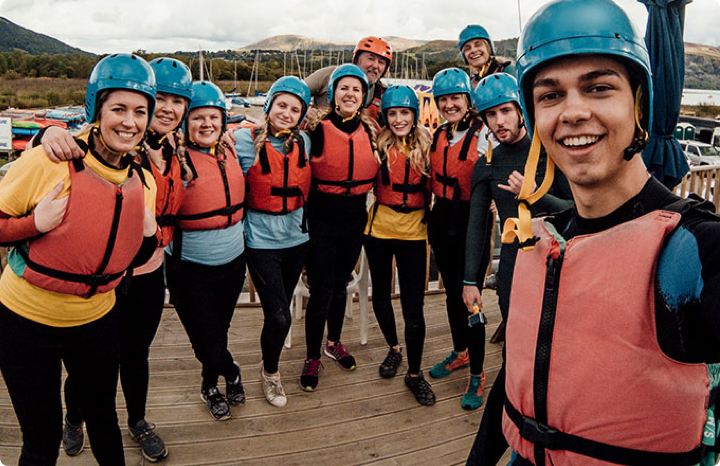 No boring round-tables here... Just exhilarating experiences to promote team bonding outside the office. More than 3.6 million customers have enjoyed experiences from our 2000+ small business partners. Gifts made to last - Our vouchers are valid for 3 years to ensure you have plenty of time to redeem and enjoy! A team of specialists are on hand to assist with your experience needs. Recognise outstanding work, high achievers and help motivate your team with experience incentives. Celebrate work anniversaries, new starters, departures and a job well done. Agencies welcome to apply; innovative ways to promote competitions and events. The BRG is a parent company which includes the marketplace brands RedBalloon, Marketics (Albert AI) and Redii.com. It provides management, services and an entire infrastructure for the marketplaces within the group.